1.50Hp - 1.50" Suction BSP Thread. The GC150 pump was a very common pump used in lots of UK made hot tubs, easily identifiable by its blue wet end. These pumps were mainly used in SpaForm hot tubs as a primary 2 speed circulation pump. As with all pumps over time the seals and motor often fail leading to leaking wet ends and burnt out motors. The GC150 was discontinued well over 10 years now and with that parts for the wet end are no longer available. There is no direct replacement for this pump and you are likely to be recommended the Hydroair Magnaflow HA440NG or Waterway Spa-flo pump. These pumps are great replacements but you will always have to chop and change your plumbing as the GC pumps used a different thread pitch which only suits their unions. The good news is that the wet end (blue part) is usually fine and can be transplanted to another motor, making it easy to fit back into your hot tub. We collect your GC150 pump and once its back here our engineer salvages the useable discontinued parts and fits them to a new E.M.G motor, impeller and shaft seals, port seals and wet end seals. We then test it to ensure there are no leaks on either speed and then send it back to you with a full 12 month guarantee**and report. All this for £389.99. We always aim to get your pump back to you within 5 working days, but this will depend on the time of year and/or how busy we are. Once you have added the refurb to your basket and checked out in the usual way, we will make contact to arrange a collection time that works for you and gives you time to pack up the pump. Rather than you post us your pump which would cost upwards of £25.00. We collect your pump using our courier which helps to keep the cost down due to the volume of parcels we send. Also we can track the parcel which lessens the chance of your pump going missing. 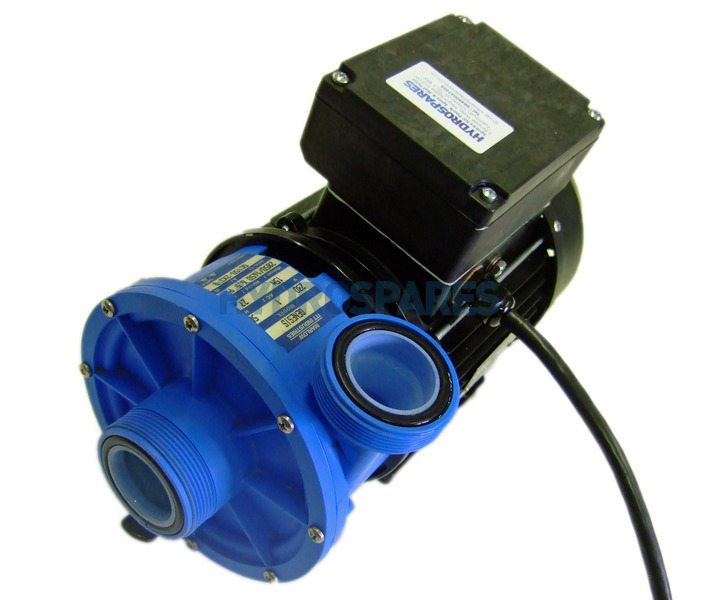 Alternative pump £384.99, Fitting kit average £60, labour £150 to £250 Total £594 - £694 possibly plus VAT! 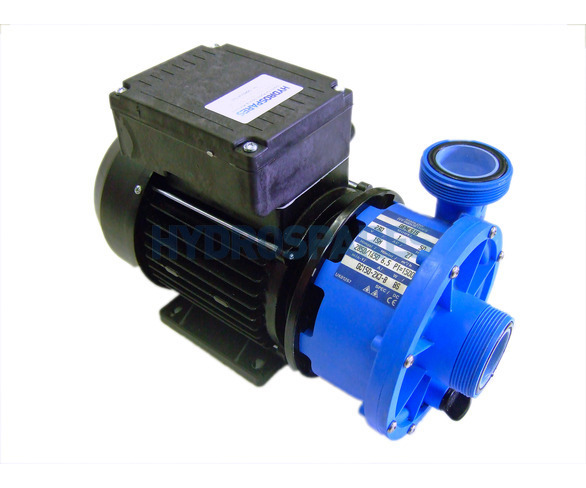 Why can I not just fit a new pump like the HA440NG? If you tried to fit a new pump for example the HA440NG or any other make for that matter you would find that it would not connect to your existing screw on connections, (unions) fitted to your spas plumbing. The GC150 used a different thread pitch on its ports and a smaller sized union; 1½" BSP thread and 1½" sockets. New replacement pumps now nearly all use 2.00" pipe and a 2.00" buttress thread pitch to connect up the unions. In order to fit a new pump like a HA440NG you would need to alter your existing pipe work. This would normally involve cutting off your existing unions and a few other parts to get back to "bare pipe" so new unions can be fitted. If you have a Spa Form hot tub this would also normally mean removing the gate/slice valves fitted just before the pump. Every now and then we come across a pump that we cannot repair. If this is the case we will contact you to discuss options. If we can't carry out the refurb due to a failed part that we need to salvage, and you choose to fit a new current pump remember a plumbing change/alteration must be undertaken. We will be happy to assist and advise which pump to buy and how to go about altering your pipe work. Please note the following will apply. Any money amounting to more than the initial refurb cost of £389.99 in alternative pumps and parts will be added to the final bill. We would always advise of the costs and time scales involved. If the pump is un-repairable and you do not want to proceed you can choose to have the pump sent back to you or have us dispose of it. 1. We dispose; a £30.00 collection and collection fee is taken to cover costs. 2. Pump sent back; a £30.00 collection and collection fee is taken to cover costs, plus a £5.00 delivery fee. Please remember that it is your responsibility to pack your pump with adequate protection. 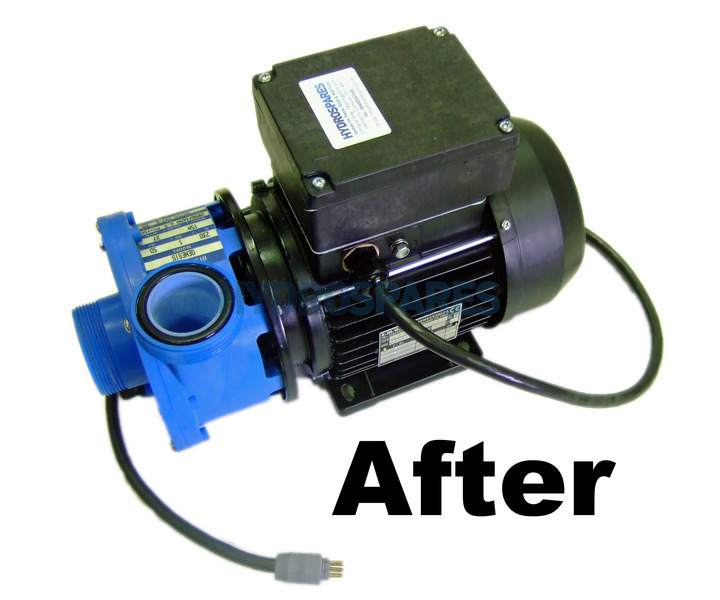 If your pump arrives to us here at Hydrospares damaged and the refurb cannot be carried out you will be charged for the collection and return of your pump (£35.00) the remaining will be refunded. As pumps are heavy items, we recommend using a sturdy cardboard box with a good amount of shock absorbing material to cradle the pump securely. Hydrospares bears no liability for pumps that are damaged in transit to us due to inadequate packing. 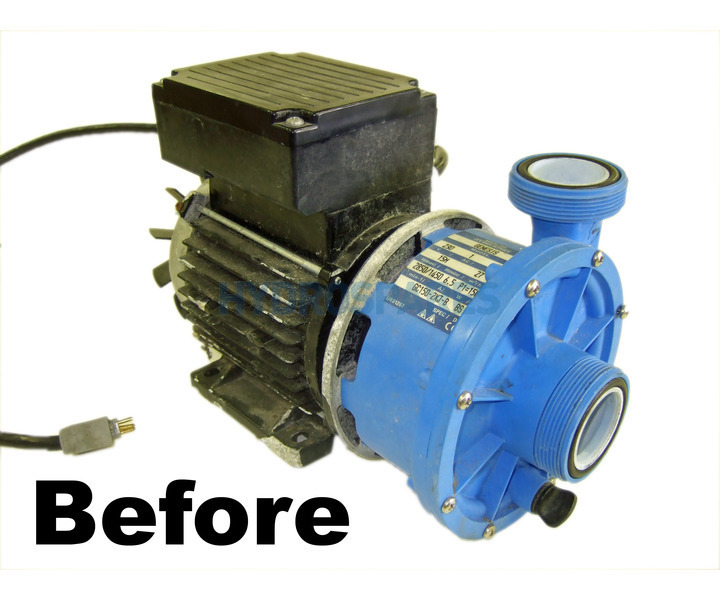 We include a 12 month warranty on the returned pump, however should your pump fail in this time due to a Wet-End fault we would be unable to repair it due to the discontinued parts. We would then offer a new different Wet-End to be fitted to your motor, this would then mean some pipe work alterations would need to be done. We will fit the new Wet-End to your motor at our expense and retest and deliver back, however we would not cover the expense of collection and the extra plumbing parts needed to make the alterations, we are of cause more than happy to assist in the process and advise on the parts needed and supply the parts. We only offer to fit a new Wet-End to your motor at our expense because when we undertake the initial exchange and examine the parts we only continue if we deem the parts to be in an expectable condition and offer continued service. Hi, I am trying to oget a refurbishment on a GC150 pump - do you still offer that service?